This paper presents a brief review of some formal approaches to the modeling of unconscious phenomena. These models allow for the operationalization of the concept of psychodynamic unconscious towards a possible inclusion in the fields of Cognitive Informatics and Cognitive Computing. In particular this paper presents the conceptualization proposed by Ignacio Matte Blanco of the functioning of conscious and unconscious thinking. In his original view the two ways of thinking are conceived as two distinct logics, “symmetrical” and “asymmetrical” logics. In this study the fundamentals of his concepts are identified and re-elaborated in a more formal way, with the aim of developing an operational and dynamic functional structure that evolves over time and that includes the affective value of objects. On this basis a computational implementation of the conscious–unconscious interaction that employs Learning Classifier Systems (LCS) is put forward. 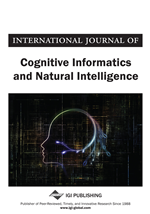 Cognitive Informatics is “… the transdisciplinary study of cognitive and information sciences that investigate into the internal information processing mechanisms and processes of the natural intelligence – human brains and minds” (Wang, 2003, p. 159). Therefore the approach to computers and algorithms has to be, from this modern perspective, considered as the study of the functioning of the deep aspects of thought in a way that can be operationalized and automated. This approach can be followed in a phenomenological perspective since “information in cognitive informatics is defined as abstract artifacts and their relations that can be modeled, processed, stored, and processed by human brains” (Wang, 2003, p. 159). If its true that the brain is the hardware support of cognition (Wang, 2009a), information is a conceptual entity that can be defined and manipulated, in principle, by different hardware machinery. The approach presented in this paper is based on the theory of mind put forward in the field of psychoanalysis (or more generally of psychodynamic psychology) in the terms of a conceptual inquiry of the mind’s functioning based on constructs (i.e. onto theoretical entities) rather than onto the study of the brain. Psychoanalytic approaches have been often criticized for their lack of formal definitions and for the blurriness of its concepts. About 40 years ago a Chilean psychoanalyst, Ignacio Matte Blanco, initiated an approach to the study of psychoanalysis based on algebraic and logical concepts, in the attempt to model mathematically the psychoanalytic theory. Since then, and sometimes inspired by his seminal work, some scholars proposed their elaboration in the same theoretical view (Ciaramelli, Lauro-Grotto, & Treves, 2006; Khrennikov, 2007; Lauro-Grotto, Salvatore, Gennaro, & Gelo, 2009; Lauro-Grotto, 2008; Murtagh, 2012a), or different views (Brakel & Shevrin, 2003; Brakel, 2004; Bucci, 1997; Mergenthaler, 2008), and often proposed quantitative analyses based on their theoretical elaborations (Bazan et al., 2013; Brakel, Kleinsorge, Snodgrass, & Shevrin, 2000; Bucci & Miller, 1993; Lauro-Grotto, 2006; Mergenthaler, 1996; Murtagh, 2012b; Salvatore, Gennaro, Auletta, Tonti, & Nitti, 2012; Tonti & Salvatore, 2015; Tonti, 2007; Vanheule et al., 2011). All these are attempts to formalize and operationalize psychoanalytic concepts that could contribute relevantly to the development not just of computational or formal methods, but also of a new and more scientifically-informed research in psychodynamic psychology. The importance of introducing psychoanalytic concepts on the field of Cognitive Informatics (for a similar need in the field of cognitive science, see Bucci, 2000) is that it is a powerful conceptual instrument to describe the deep roots of human functioning. In particular the concept of salience, i.e. the affective relevance of stimuli, is a fundamental element not just of emotion, but of general intelligence as well. Objects exist in our mind (or “pop out” in out attention) not because they exist in the reality, but because we affectively charge them by connecting them to the lattice of our internal affective experiential structure (see also Schank, 2009). Affective salience therefore is a construct that is not just something juxtaposed to thought, or a disturbance of our idealized “pure” logical thinking, but is likely the “energy” that shapes our intelligence. This shaping force can also be, in this perspective, the counterpart of information in the architecture presented in (Wang, 2007; Wang et al., 2009), where if matter and energy are coextensive constituting elements of the physical world, information and affect could be the coextensive fundamental elements of the mental abstract world.